Today I met a miracle. Yes, indeed a walking, talking miracle. My day started off like any other day. Well, except for the fact I was fasting (nothing to eat or drink) because this morning was our annual health screening at the office. Sleepily, I drudged into work. I am not me without my coffee each morning. To say I was tired was a great understatement. With my completed health form in hand, I waited in line. Then, it was my turn. Shirley, my phlebotomist, smiled and took my health form. First she collected my height and weight. Upon seeing my weight appear on the digital scale, I exclaimed, “Yiiipppeee! !” She giggled and said most people do not react that way to their weight reading. Yeah, I guess I’m a lil different. With my weight and height written on my health form, I was ushered into a different room for my blood draw. Shirley followed. Ummmm, W-O-W!! Are you serious? This response was not at all what I expected to hear. She looked like the poster image of great health. There were no visible signs of any brain damage or speech impediment. Of course I was curious, so I probed some more. Shirley continued, “Gosh, you never expect to become epileptic at age 47. My family thought I was gone. It was rough. I have no recollection of September or August and the rest is a little fuzzy too. Really I don’t remember the last six months. Each morning I do child memory games to try to help get my short-term memory to work again. Tomorrow I won’t remember today.” Oh what a MIRACLE she even survived!! She agreed. As Shirley was finishing and applying my bandage, I muttered something about making a mad dash to Starbucks because after fasting this morning I needed my coffee and some food. She let out a desperate sigh, “Oh, I would LOVE some coffee! !” Okay then. I will buy you something. What do you want? Shirley shrugged my comment off thinking I was kidding. I was insistent. She asked if I was serious and I’m pretty sure the look on my face indicated that I was indeed going to get her coffee. Finally she said, “I would LOVE a Mocha Latte without the whip cream.” Shirley had tears in her eyes as I left. She seemed surprised when I returned with her Mocha-no-whip. “You’re back?! Oh my. Coffee. Thank you. Thank you so much!!! You have made my day. What is your name? Thank you, Renae. Have a blessed day!” The least I could do was buy her a cup of espresso. Shirley had started her first day back on the job at 6:30am, standing on her feet all day, and by the time of my appointment it was 9am. She still had a full day of blood draws ahead of her. I remember when I had abdomen surgery… I was exhausted on my first day back to work!! Keep in mind, I work a desk job and my surgery in no way included my brain and a coma, so I’m pretty sure her road to recovery was a bit more complex than mine. If caffeine would help get her through the day, then I would get it. For the record, Shirley was the best phlebotomist I’ve met in years. Due to my porcelain skin, I often develop large purple-ish, blue bruises as a result of any and all blood work, but not this time. Not even a mark. I can’t even make out where the needle went into my skin. WOW! Shirley has some skills. I’m happy she didn’t lose her gift after all was said and done. And I’m convinced with time she will regain her short-term memory. 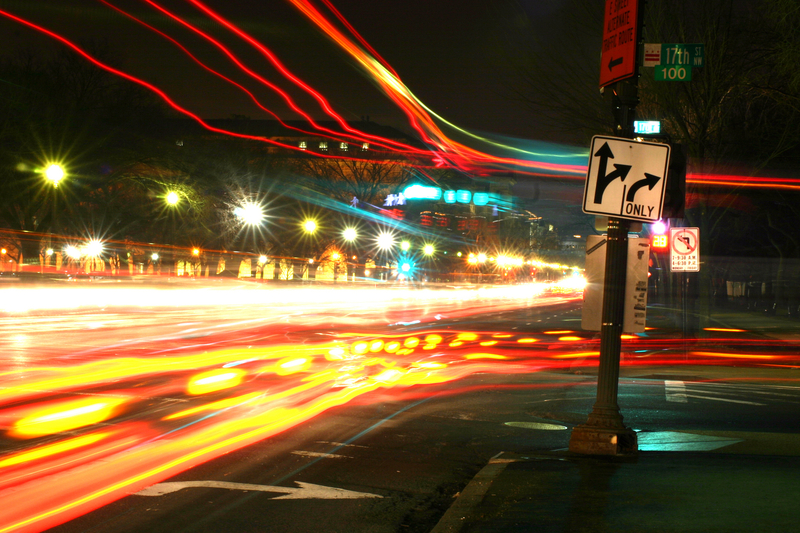 Life moves so fast it can often be a blurry mess. I certainly wasn’t expecting to run into a miracle, but I’m glad I did. This chance encounter caused me to slow down, hit pause for a bit, and reflect. In my mind, God showed Himself to me today. I was witness to His work, firsthand. Shirley was assigned to the first room, yet decided to follow me into the second room. She felt comfortable to tell me, a complete stranger, her miraculous story. It warmed my heart to do a little something nice for her. Even if she won’t remember me or the mocha tomorrow, I know I will never forget the day I met an unexpected miracle. Wow, thanks for sharing this story! It’s stories like this that make me hopeful that someday random acts of kindness will spread everywhere. That it’ll be the norm to reach out to strangers and make genuine connections. Keep it up. Thank you. Thanks again for your reblog 🙂 xo!! Thanks so much for your COOL likes on our blog! Awe!! Thanks SO much, Camilla!! Yes, agreed… I believe all the small things really do add up!! xo!! Wow! What a story! I’m sure you just made a friend for life. Unfortunately I’m thinking I may never see Shirley again (she was simply visiting our office for the day), but I know for me… I will always treasure meeting her!! Very nice post! This is truly inspiring 🙂 I hope more and more miracles like this will happen to everyone. Thanks, thedrunkenpig!! 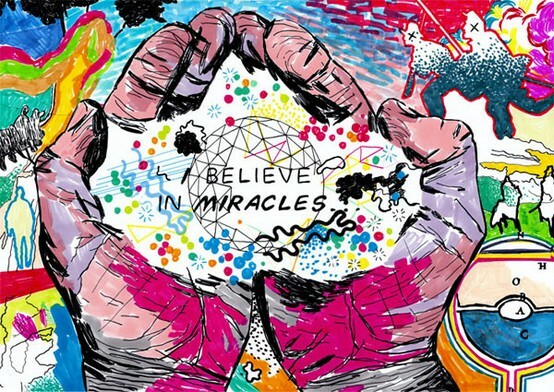 Yes, I’m amazed at the number of miracles happening around us all the time!! What a fabulous story! Amazing the way things work out. And Starbucks as a random act of kindness- what an angel you are. The small things in life really can have a significant impact and that thought comforts me immensely. This was an awesome experience to read about! Thanks, tsvandersam!! Gosh, I remember how excited I was when a kind stranger pre-paid for my coffee one day… I had no idea until I arrived at the Starbucks drive thru window to pay and she told me the man in front of me paid for it already and said to have a nice day!! WOW… I need to be sure to do random acts of kindness for complete strangers more often!! I love this sentence “Life moves so fast it can often be a blurry mess.”.. we should appreciate every single day and make memories..
Vania, thank you!! It seems like life does get a little blurred from time-to-time, right? You’re soooo right… we need to stop, take a moment and appreciate all that life has and will bestow upon us!! Thanks so much for your comment 😉 xo!! Thanks, Marjon!! I certainly hope she remembers… she brought me such joy that day 🙂 xo!! I wanna bet with you 😀 Have a goodone. Wow, Renaie, that warmed my heart. Oh all the beautiful people I meet through blogs. A wonder. Thanks, Leelah!! Your comment makes me so HAPPY!!! Yes, great folks out here in the blogosphere, eh?? Love it!! It’s a really nice thing you did, but it’s just so easy to make somebody’s day, you just need to remember to make the effort. I was in hospital the other day and my step-dad brought a tin of biscuits and wandered through the ward, giving some to all the old ladies and chatting with them. I need to remember to be more like that! Thanks, Theo!! You’re so right 🙂 All we have to do is take action!! What a fantastik learning lesson, thanks for sharing her miracle and yours! Thanks, Denese!! It was truly a magical experience. I wish this for EVERYONE! !